A glass hob cover increases the space in your kitchen as you can stand dishes over cold hobs. 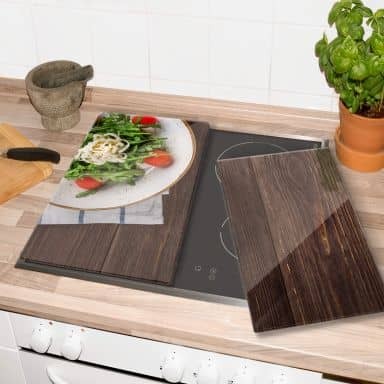 Ideal when your kitchen is a bit small and you need some more space to prepare your favourite meal. 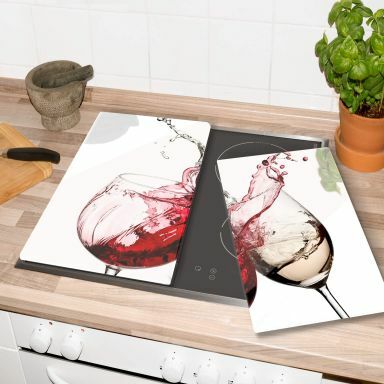 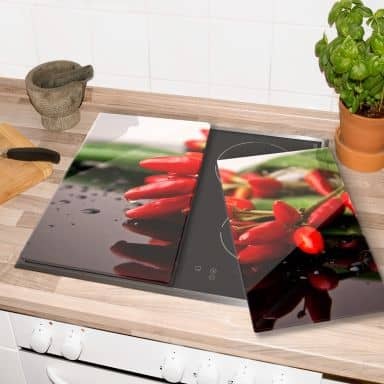 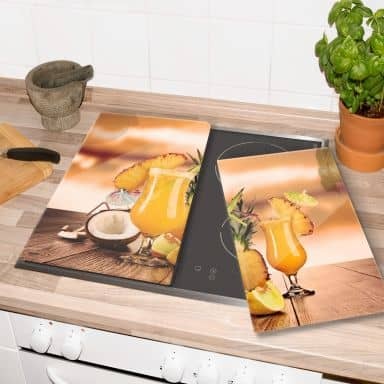 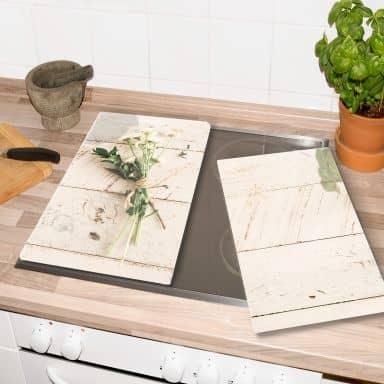 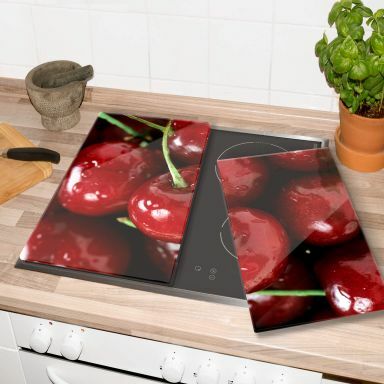 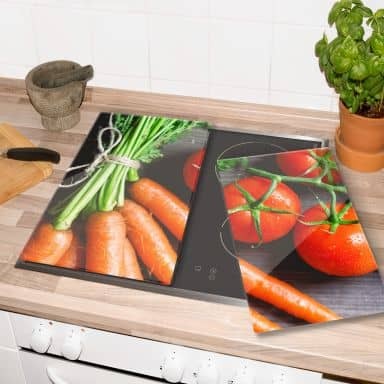 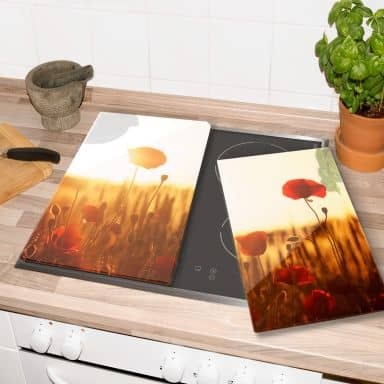 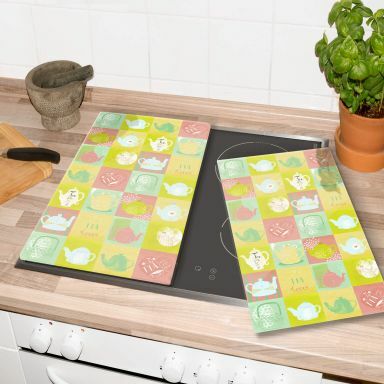 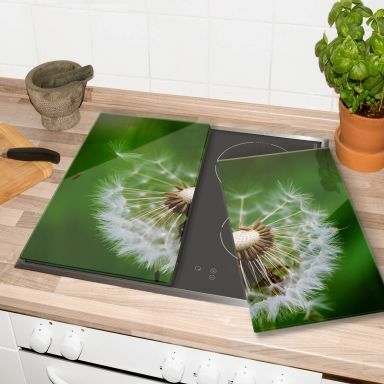 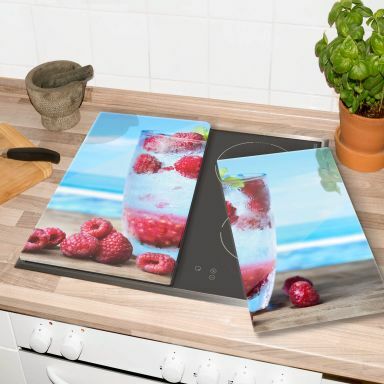 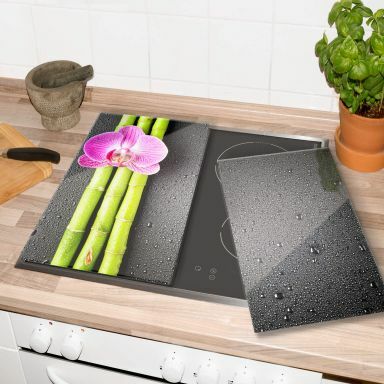 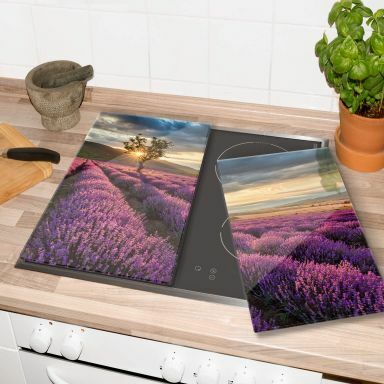 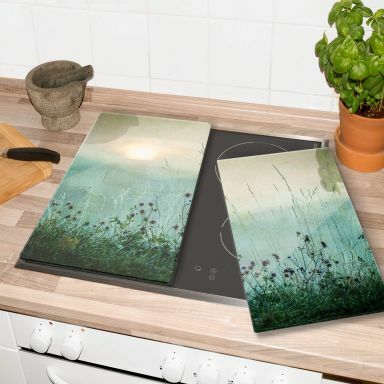 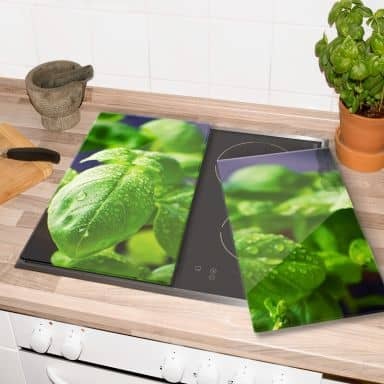 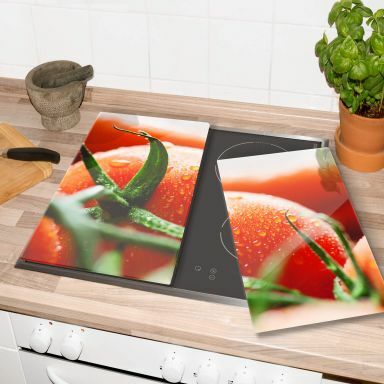 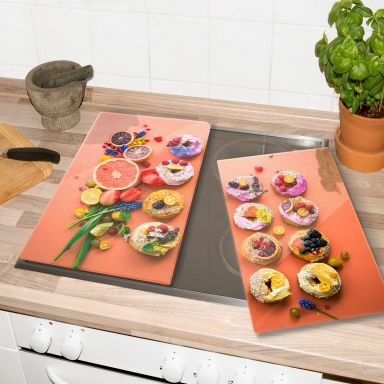 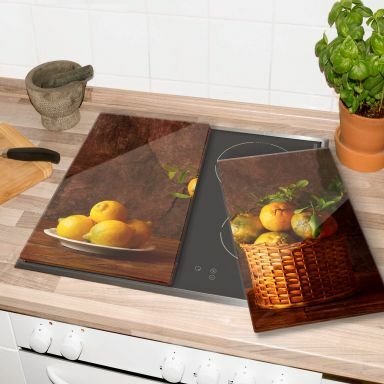 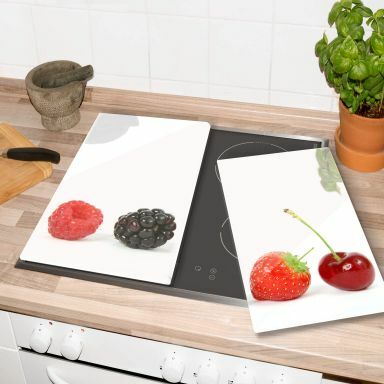 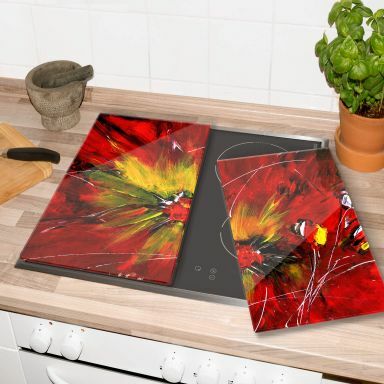 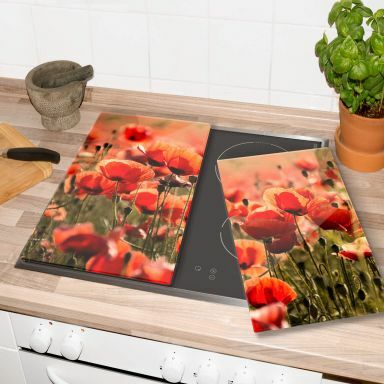 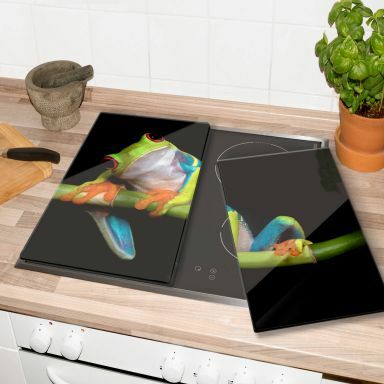 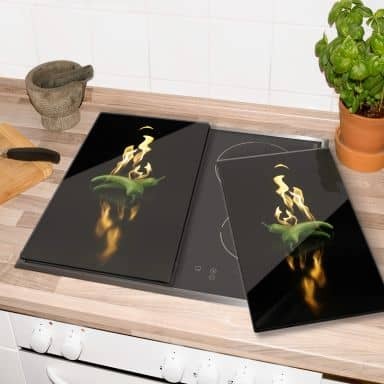 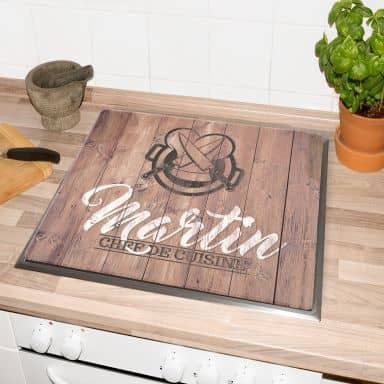 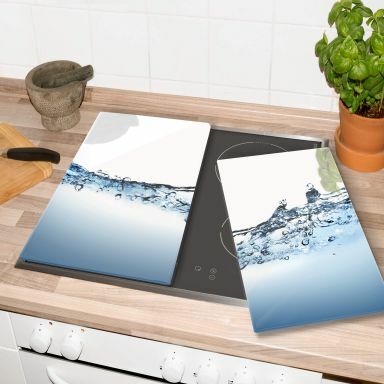 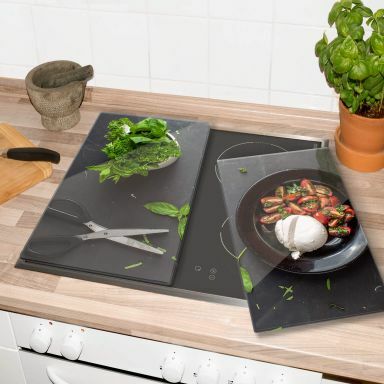 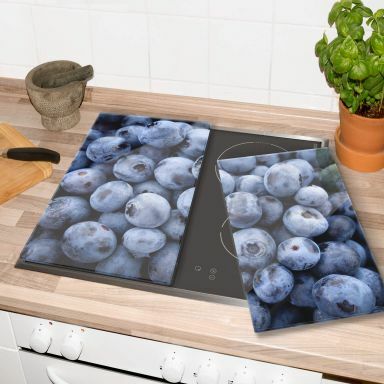 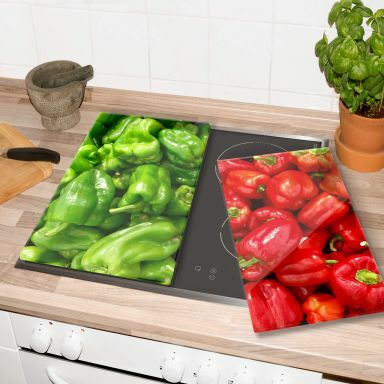 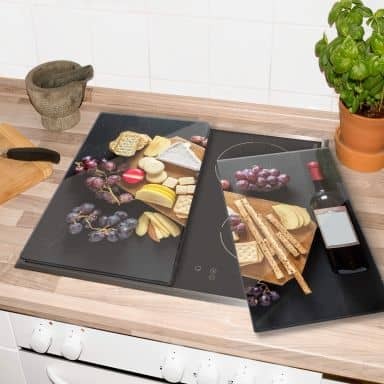 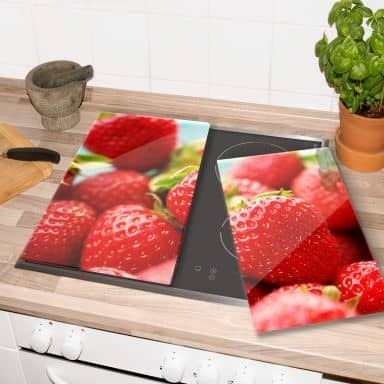 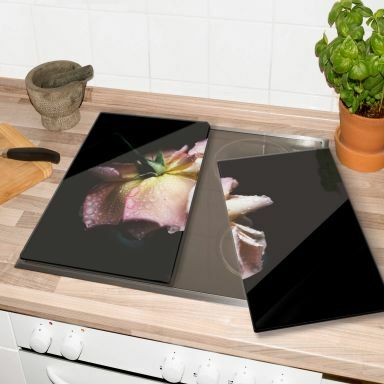 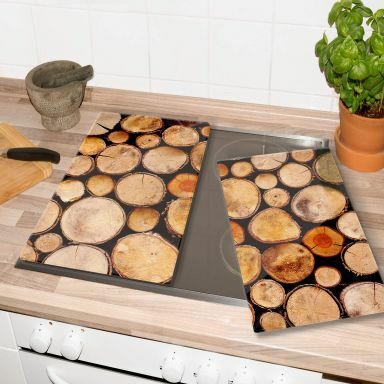 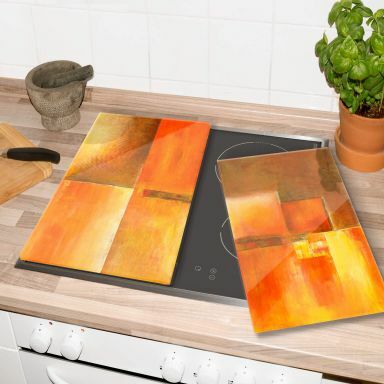 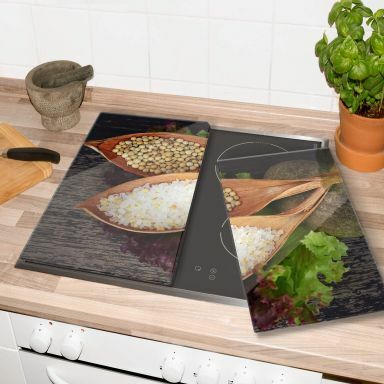 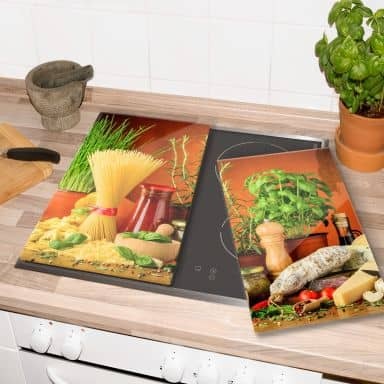 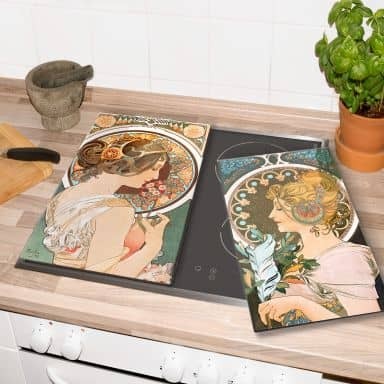 The wall-art hob covers are made of heat resistant glass and they all feature a stylish design. 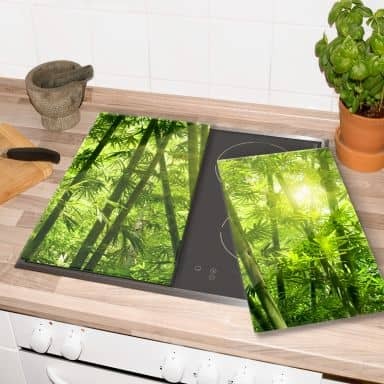 The hob covers do not only increase your kitchen space, they also protect your hob from scratches. 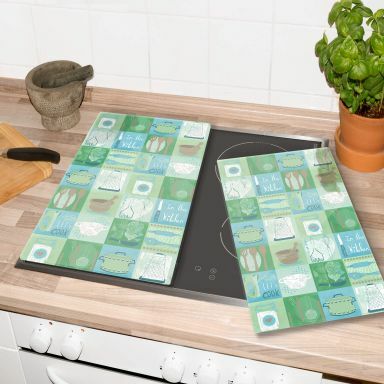 The hob covers are available in a variety of designs. 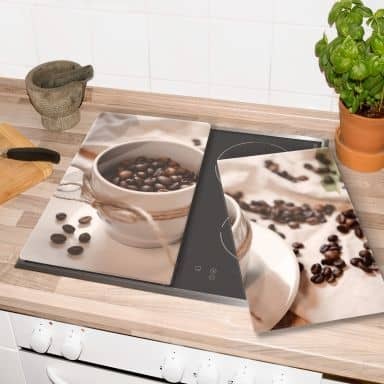 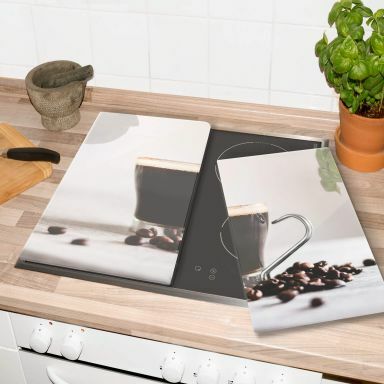 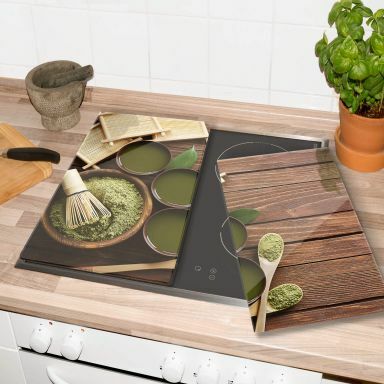 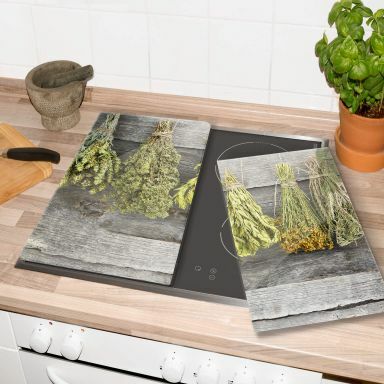 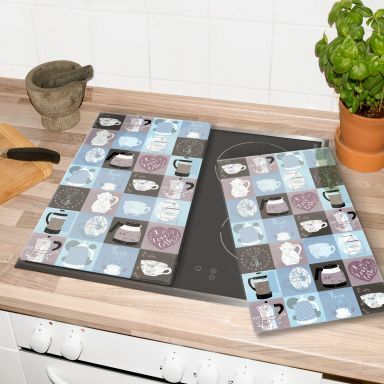 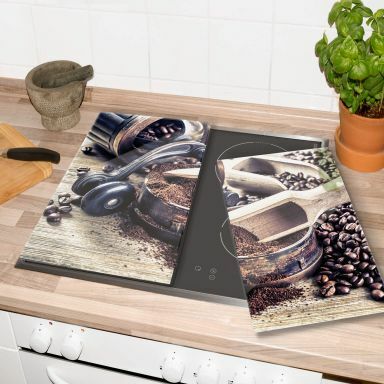 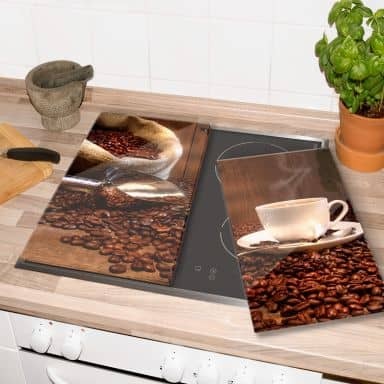 A hob cover with a coffee print, with a herbs or spices print or a modern art kind of hob cover. 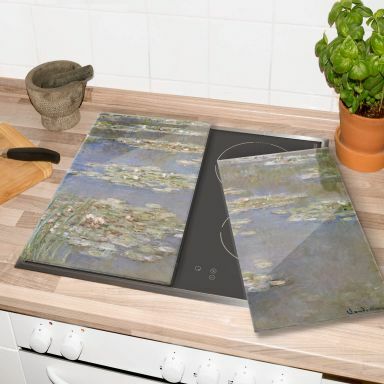 Enjoy browsing our collection. When you have questions, just ask. We are here to help. Hob covers made of high quality ESG Safety Glass. 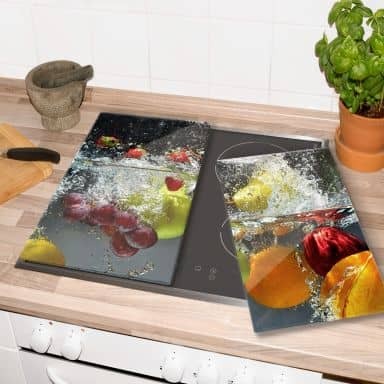 Always full colour print.